I am Scott Smith. I have produced hundreds of new media projects with my company ssmediaco.com. This is basically just me talking about craft beer and hopefully other funny stuff, at times I’ll be interviewing craft beer nerds, musicians, artists, professionals, business owners & friends and other like-minded individuals that will share craft beer stories and experiences from their own craft….meaning love of what they do, not crafting projects…not that I won’t talk to that kind of crafters too. Leave a rating and review on iTunes, GooglePlay or Stitcher. 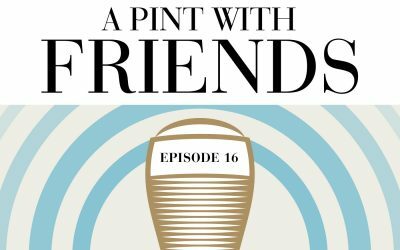 Claire Wilson (Brewmaster & CEO) & Camila (Marketing Associate) chat with Scott about the being Vancouver’s only Organic Brewery & tasting room. Claire’s passion and commitment to using local and organic ingredients and sustainable practices are reflected in her exceptional beers. Her dedication to sustainability extends beyond the beer, and also to the packaging, food served in the tasting room and organic cotton t-shirts. This episode is sponsored by Drinkwel. Drinkwel is the first daily multivitamin for healthy people who drink alcohol. 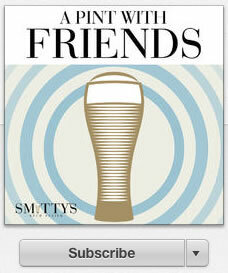 Use the code “smittysbrew” and get 15% off your order. In this episode, we return to the offices of Pico Brewing to meet with two of the founders, Bill & Jim Mitchell to discuss their 3rd Kickstarter project and latest product the “Pico”. Bill & Jim share thoughts on the different kinds of homebrewers and beer drinkers, as well as how the Brew Marketplace will be the world’s best pub crawl. Bill is a former Microsoft VP with several decades of innovation leadership in PDA’s and smartphones: while Jim is a food scientist and physicist with over 15 years experience in the field of food processing technology.